Look at the pouch I made for this month challenge as part as A Make a month initiated by the Felt Fairy and hosted by Valerie in April. 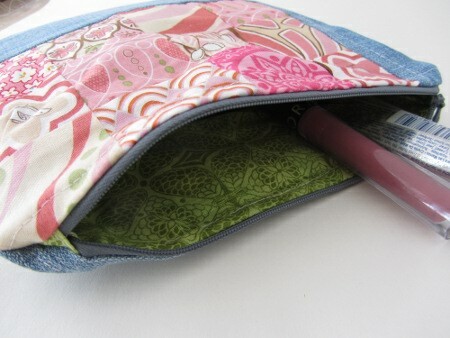 This is the XOXO Zippered Pouch from Katie’s Swim, Bike, Quilt blog. I was mentioning it a few days ago as a WIP. I got so excited that I finished it in only two short evenings. 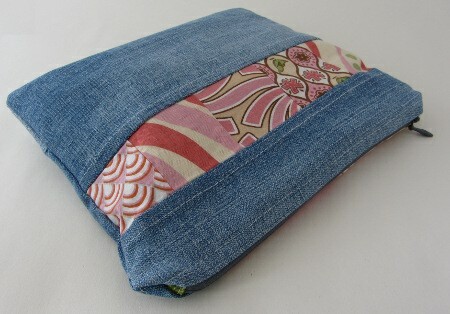 I really love how the pink pattern fabrics work well with the denim (coming from one of my former pair of jeans!). 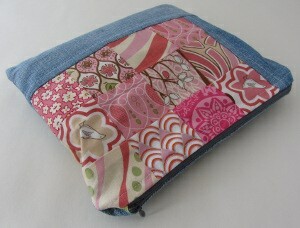 This was also my first patchwork project and I have to say I really enjoyed it. 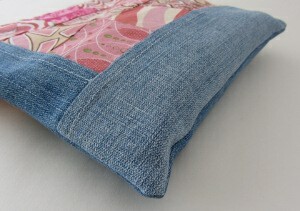 This project really got me inspired and I may come up with more pouches for my shop shortly! You can check out all the beautiful makes from other participants to this month challenge on the Flickr group.